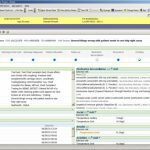 Cerner Specialty Practice Management system offers a front-end and back-end office solution for all medical practices. The system’s services are best suited to small and medium-sized practices having 10 or fewer consultants. The solution offers both on-cloud and on-premise deployment. Cerner Specialty PM offers tools that help medical practices manage their daily tasks including self-pay accounts along with processes involved with insurance reimbursement offering a rapid return on your investment, improving satisfaction among your staff. 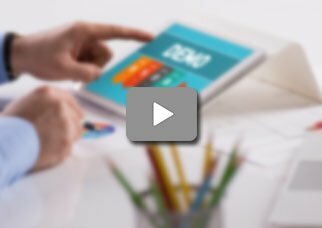 The practice management solution implements a real-time patient for certifying that ineligible claims are not being processed. Cerner Practice Management can also seamlessly integrate with Cerner’s EHR to allow medical organizations to easily navigate across all medical IT capabilities offered in both the solutions. 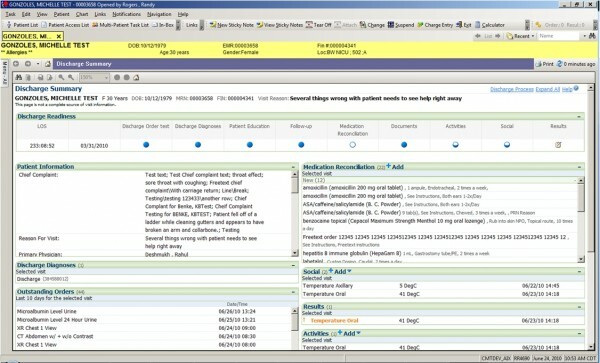 The patient scheduling module displays patient demographics, appointment types on a single screen. It also allows clinicians to find available appointments per patient’s request. Users can modify, reschedule and cancel appointments, easily. They can also records patient contacts and view appointment histories. Cerner Specialty PM is not only ONC-ATCB certified bust is also Meaningful Use and HIPAA compliant. Cerner Specialty PM is also customizable and this allows for flexibility in reserving rooms and recording practice inventory and medical equipment. Its Patient Monitor module allows clinicians to keep track of patient healthcare from admission to discharge. Other quality features of this system include patient scheduling, registration, posting payments, patient tracking, patient accounting, and monitoring. If you are a medical practice looking for a quality practice management solution that can integrate well with a user-friendly EHR, offering medical document management, patient appointment scheduling, and health records management then this might just be the system you need! Pros: Cerner is customizable and everything you do is traceable. The software is easy to use&comma; user friendly and easy to track and do reports to keep our business moving forward. Cons: We do not have any cons&comma; we love the software. Pros: I use this program for a fairly small physical therapy clinic. Customer service is great and we they always help us. Cons: Some buried features that are hard to get to but once you get it&comma; your life gets easy. Pros: Cloud based - easy to work from home&comma; updates show up automatically. Fantastic support!!! Flow of the patient visits are nice. Easy to see current and historical prescriptions. We love using it. Cons: Searching for inbox faxed documents is not easy. Faxing out only to a single recipient. Rest is fine. Pros: I believe Cerner's billing system is easy to navigate and use. The scheduling system is great too. The customer service is always a t service. Cons: Reminder calls are not consistent. New GPIS system is okay&comma; but needs improvement. Pros: Relatively easy to use EHR for documenting patient encounters. We also utilize their practice management/billing options which improved our cash flow. We are satisfied. Cons: Hard to get custom reports unless you pay for additional support. Rest is fine and going well for us. Verdict: Overall a quality product that works well with our family medicine!! Pros: The software is very easy to navigate and user friendly. The documentation of the data is as easy as it gets and very effective. Cons: Wish more information was available on the main pages. Scheduling appointments needs to be improved. Pros: Easy to learn and easy to work with. Billing is great and the rules based system is so helpful and our errors are less than 1% because of it. Great software. Cons: Internet is not as fast as the capability of the EHR. Also the add more templates.